PACT | ORGANIC is now available at Target! BOULDER, Colo., June 14, 2016 /3BL Media/ - PACT | ORGANIC, makers of premium organic and Fair Trade Certified™ basics, announced its launch in 460 participating Target locations across the United States. 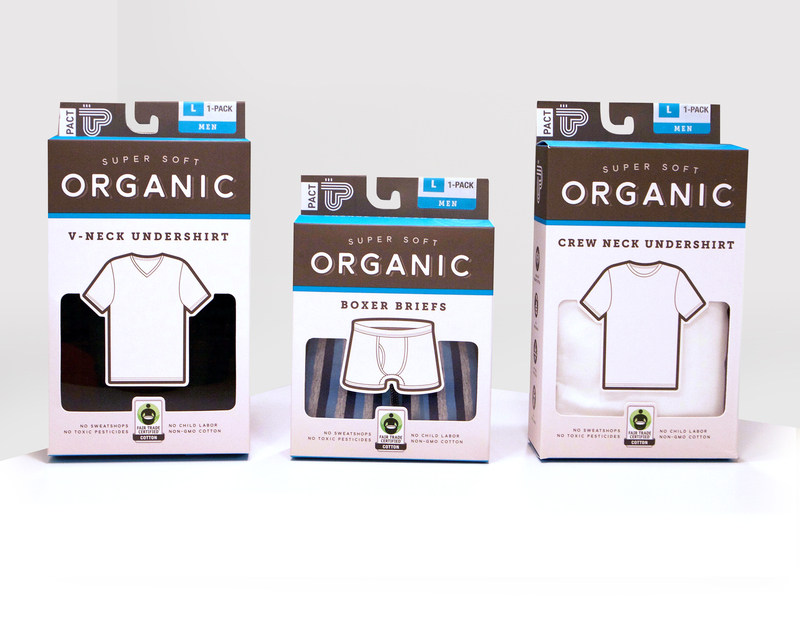 Available now at Target and Target.com, PACT | ORGANIC men’s undershirts and boxer briefs will be the first of their kind to bear the Fair Trade Certified™ label. PACT | ORGANIC is one of the fastest-growing organic cotton basics brands in the U.S. Led by Brendan Synnott, the founder of iconic natural food brands Bear Naked Granola and EVOL Frozen Foods, PACT | ORGANIC is all about super soft clothes and putting people first. PACT | ORGANIC’s partnership with Fair Trade USA allows the company to empower cotton farmers even further through a special community development fund. For every product sold, cotton farmers earn additional funds to invest in critical community projects. Workers democratically designate these funds for programs and projects that matter the most to them, like education and healthcare. PACT | ORGANIC’s undershirts and underwear are made from cotton sourced from Chetna Organic – a cooperative of 15,000 organic cotton farmers in India who practice non-GMO organic agriculture. Chetna works to improve livelihood options of smallholder farmers by making more sustainable and profitable farm systems, and providing access to ethical cotton markets. Founded in 2009, PACT | ORGANIC makes super soft organic cotton basics. PACT | ORGANIC’s vision is to transform the apparel industry for good by connecting buyers to makers with a traceable supply chain that empowers its people. All apparel made in India is certified by the Global Organic Textile Standard (GOTS) and made with Fair Trade Certified™ organic cotton. All socks and tights made in Turkey are certified by the Global Organic Textile Standard (GOTS). No toxic dyes. No toxic pesticides. No child labor. For more information, visit pactorganic.com.